Topic: Modern Indian history from about the middle of the eighteenth century until the present- significant events, personalities, issues. For Prelims and Mains: Features of the commemorative coin, flag hoisting by Bose, its significance, impact and the outcome. 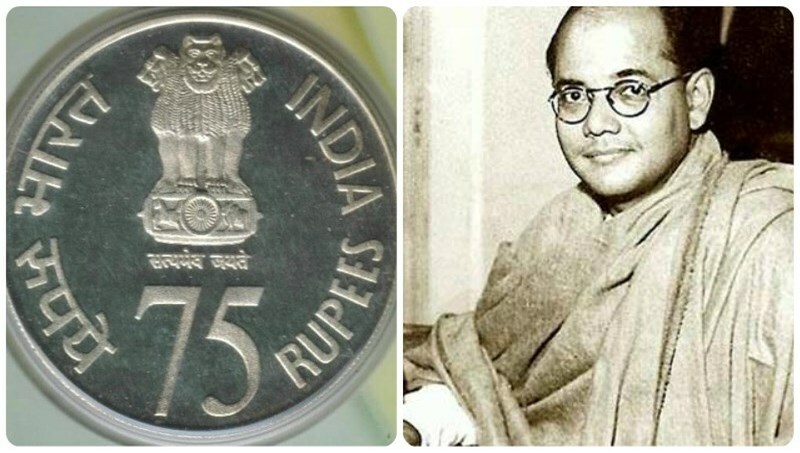 Context: The Union Ministry of Finance has decided to release a Rs 75 commemorative coin on the occasion of 75th anniversary of the hoisting of Tricolour for the first time by Netaji Subhash Chandra Bose at Port Blair. During his visit to Andaman in on December 30, 1943, Subhash Chandra Bose hoisted the Tricolor for the first time at Cellular Jail of Port Blair, much before India attained Independence declaring the island as the free territory from the British rule. On the same occasion, he announced the freedom of Andaman & Nicobar Islands, the first Indian Territory, from the British rule. The island at that time was liberated from British rule by Japan which captured it during the World War – II. Bose named Andaman Island as Shaheed and Nicobar Island as Swaraj and appointed INA General AD Loganathan as the governor of the Islands. Azad Hind Government was not merely a Government in Exile anymore but had its own land, own currency, civil code and stamps. For Prelims: Key features of the scheme, NCDC. For Mains: Significance of the scheme of the role of youth in cooperatives, hurdles and measures needed. Context: To cater to the needs and aspirations of the youth, the National Cooperative Development Corporation (NCDC) has come up with a youth-friendly scheme ‘Yuva Sahakar-Cooperative Enterprise Support and Innovation Scheme” for attracting them to cooperative business ventures. The scheme would encourage cooperatives to venture into new and innovative areas. NCDC has created a dedicated fund with liberal features enabling youth to avail the scheme. The scheme will be linked to Rs 1000 crore ‘Cooperative Start-up and Innovation Fund (CSIF)’ created by the NCDC. It would have more incentives for cooperatives of North Eastern region, Aspirational Districts and cooperatives with women or SC or ST or PwD members. The funding for the project will be up to 80% of the project cost for these special categories as against 70% for others. The scheme envisages 2% less than the applicable rate of interest on term loan for the project cost up to Rs 3 crore including 2 years moratorium on payment of principal. All types of cooperatives in operation for at least one year are eligible. National Cooperative Development Corporation (NCDC) was established by an Act of Parliament in 1963 as a statutory Corporation under Ministry of Agriculture & Farmers Welfare. It has many regional centres to provide the financial assistance to Cooperatives/Societies/Federations. For Prelims: Key facts on the resolution. For Mains: Significance of the resolution, India’s views, capital punishment- arguments in favour and against. Context: India has voted against a United Nations General Assembly draft resolution on the use of death penalty, saying it goes against the statutory law of the country where an execution is carried out in the “rarest of rare” cases. The draft resolution, taken up in the Third Committee (Social, Humanitarian, Cultural) of the General Assembly was approved with a recorded vote of 123 in favour, 36 against and 30 abstentions. The draft aimed to ensure that it is not applied on the basis of discriminatory laws or as a result of discriminatory or arbitrary application of the law. The resolution sought to promote a moratorium on executions with the aim of abolishing death penalty. India was among the countries that voted against the resolution, which would have the Assembly call on all States to respect international standards on the rights of those facing death penalty. India has voted against the resolution as a whole, as it goes against statutory law in India. The death penalty is exercised in ‘rarest of rare’ cases, where the crime committed is so heinous that it shocks the conscience of the society. Indian law provides for all requisite procedural safeguards, including the right to a fair trial by an independent Court, presumption of innocence, the minimum guarantees for defence, and the right to review by a higher court. Topic: transport and marketing of agricultural produce and issues and related constraints; e-technology in the aid of farmers. Context: Maharashtra’s second Mega Food Park has been opened in Aurangabad District. It is promoted by M/s Paithan Mega Food Park Pvt Ltd, the Park. A 3rd Mega Food Park has been sanctioned by the Ministry in Maharashtra and is under implementation in Wardha District while the first Park was inaugurated on 1st of March 2018 in Satara district. Topic: Science and Technology- developments and their applications and effects in everyday life Achievements of Indians in science & technology; indigenization of technology and developing new technology. For Prelims: Young Champions Awards, AIM, ATLs and their key features. For Mains: Need for innovation and efforts by government in this regard. 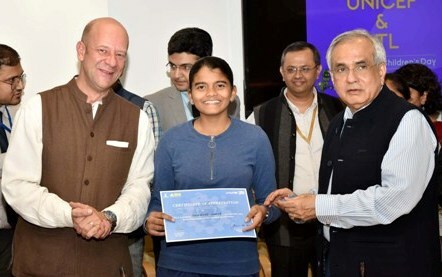 Context: NITI Aayog’s Atal Innovation Mission and UNICEF have announced Young Champions Awards on occasion of Children’s Day. The awards were presented to the top six most innovative solutions from across the country, which were shortlisted through the Atal Tinkering Marathon. 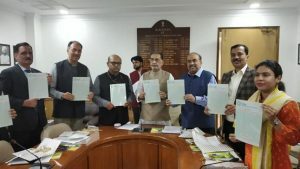 On October 2 last year, AIM’s Atal Tinkering Labs (ATL) had launched a six month long nationwide challenge called the Atal Tinkering Marathon, across six different thematic areas, namely, clean energy, water resources, waste management, healthcare, smart mobility and agri-technology. The objective was to encourage students to observe community problems and develop innovative solutions. With a vision to ‘Cultivate one Million children in India as Neoteric Innovators’, Atal Innovation Mission is establishing Atal Tinkering Laboratories (ATLs) in schools across India. Objective: The objective of this scheme is to foster curiosity, creativity and imagination in young minds; and inculcate skills such as design mindset, computational thinking, adaptive learning, physical computing etc. Financial Support: AIM will provide grant-in-aid that includes a one-time establishment cost of Rs. 10 lakh and operational expenses of Rs. 10 lakh for a maximum period of 5 years to each ATL. Eligibility: Schools (minimum Grade VI – X) managed by Government, local body or private trusts/society can set up ATL. Atal Tinkering Labs have evolved as epicenters for imparting these ‘skills of the future’ through practical applications based onself-learning. Bridging a crucial social divide, Atal Tinkering Labs provide equal opportunity to all children across the spectrum by working at the grassroot level, introducing children to the world of innovation and tinkering. As the world grapples with evolving technologies, a new set of skills have gained popular acceptance and have come to be in high demand. For India to contribute significantly during this age of raid technological advancement, there is an urgent need to empower our youth with these ‘skills of the future’. Equipped with modern technologies to help navigate and impart crucial skills in the age of the Fourth Industrial Revolution, the ATLs are at the vanguard of the promoting scientific temper and an entrepreneurial spirit in children today. 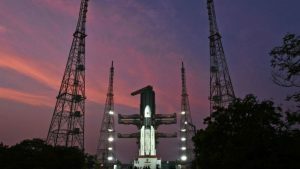 For Prelims and Mains: Key facts on GSAT- 29 and GSLVMk 3, significance of the launch. Context: The Indian Space Research Organisation (ISRO) has launched its latest communication satellite, GSAT-29, from its second developmental flight GSLV-MkII D2. GSLV Mk III is a three-stage heavy lift launch vehicle developed by the Indian Space Research Organisation (ISRO). Two massive boosters with solid propellant constitute the first stage, the core with liquid propellant form the second stage and the cryogenic engine completes the final stage. GSAT-29 is a multiband, multi-beam communication satellite, intended to serve as test bed for several new and critical technologies. Its Ku-band and Ka-band payloads are configured to cater to the communication requirements of users including those from remote areas especially from Jammu & Kashmir and North-Eastern regions of India. In addition, the Q/V-Band communication payload onboard is intended to demonstrate the future high throughput satellite system technologies. Geo High Resolution Camera will carry out high resolution imaging. Optical Communication Payload will demonstrate data transmission at a very high rate through optical communication link. 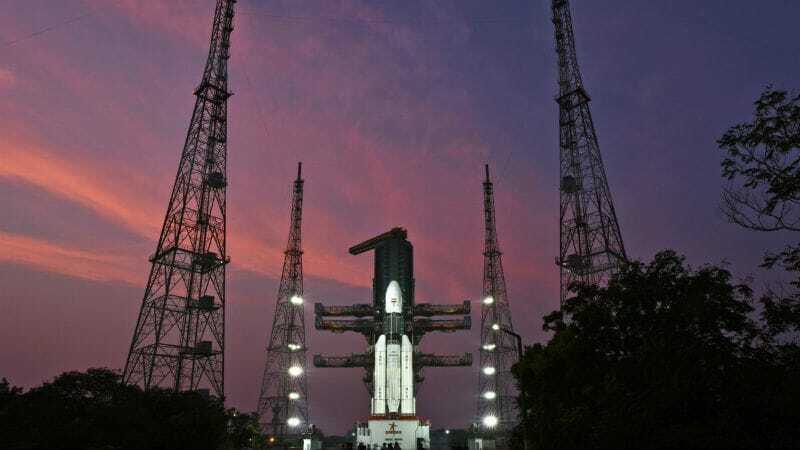 The success of GSLV MkIII-D2 marks an important milestone in Indian space programme towards achieving self-reliance in launching heavier satellites. The success of this flight also signifies the completion of the experimental phase of GSLV Mark III. Context: Uttar Pradesh Government has approved renaming of Faizabad and Allahabad divisions as Ayodhya and Prayagraj respectively. What next? Now, the proposal will now go to Central before the city is officially renamed. Allahabad’s ancient name was ‘Prayag’, but was changed after 16th-century Mughal emperor Akbar built fort near ‘Sangam’, the holy confluence of three rivers viz. Ganga, Yamuna and Saraswati. Akbar named the fort and its neighbourhood ‘Ilahabad’. Later, Akbar’s grandson Shah Jahan renamed the entire city as ‘Allahabad’. But the area near the ‘Sangam’, the site of the Kumbh Mela, continues to be known as ‘Prayag’. Ayodhya has been associated with Lord Ram and is known as his birth place. Ayodhya has been the capital of various dynasties, including the Ikshvaku dynasty of which Lord Ram is a descendent. Why in News? Point Calimere Wildlife Sanctuary in Vedaranyam Range has been closed for a week in view of water-logging caused by a heavy spell of rainfall. S study notes that the water quality at the Point Calimere Wildlife Sanctuary might be unsafe for avifauna to feed and breed. It is located in Nagapattinam district of Tamil Nadu spreads across an area of 30 sq.km and comprises sandy coastal, saline swamps and thorn scrub forests around the backwater. It is a protected area and a Ramsar site. It harbors the single-largest stretch of the unique dry-evergreen forest in the country besides open grasslands and tidal mudflats is of interest to tourists. Around 100 species of birds including the Greater Flamingo, Painted Stork, Little Sting, Sea Gull and Brown-headed gull have been making their presence felt since September. Blackbuck (Antilope Cervicapra) is the flagship species of the sanctuary. Other important animals are the spotted deer, black-napped hare, wild boar, Indian jackal, feral horses, palm civet, short-nosed fruit bat, jungle cat and monitor lizard. Previous story INSIGHTS MINDMAPS: “POSHAN Abhiyaan”.